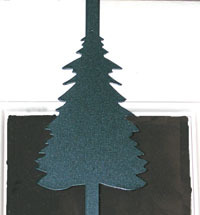 Accent your wreath on your door with our spruce fir tree hanger to greet you and your guests! Use this handcrafted hanger complete with snow drifted upon it! It is made of Steel to last for years and will endure indoor and outdoor elements! Simply place the top over the door and hang your wreath on the lower hook! What a great gift to give with a wreath or by itself throughout the year!